Working in bars for the last umpteen years, I've run into my share of drunks and they tend to fall into a few categories. There are the happy drunks, the mean drunks, the obnoxious drunks, and the show-off drunks. There are the drunks who actually get better at pool, darts, and foosball the more they drink. There are the drunks who think that they sing or play guitar better the more they drink, despite the painful reality. 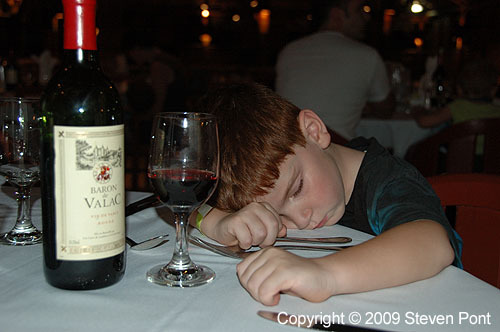 And then, there are the drunks that just quietly fall asleep at the table and wait for someone to carry them home.